11:17 AM - Mamin Mirza tagged CaLmInG MeLoDy in thread Aap APnay Daam Main.......................!!! 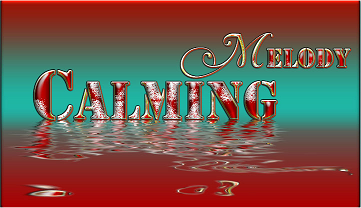 12:48 AM - Mamin Mirza tagged CaLmInG MeLoDy in thread UT Birrthday Celebrations.....................!!! 11:59 PM - Mamin Mirza tagged CaLmInG MeLoDy in thread Melody..........Ki Salgirah Hai bolo...........!!! 02:37 PM - CaLmInG MeLoDy quoted Veedoo in post Re: Wedding Pictures...!!! 02:37 PM - CaLmInG MeLoDy quoted Rana Taimoor Ali in post Re: Wedding Pictures...!!! 02:37 PM - CaLmInG MeLoDy quoted Pari in post Re: Wedding Pictures...!!! 02:37 PM - CaLmInG MeLoDy quoted Aseer e Wafa in post Re: Wedding Pictures...!!! 02:37 PM - CaLmInG MeLoDy quoted Dr Maqsood Hasni in post Re: Wedding Pictures...!!! 11:28 AM - quoted CaLmInG MeLoDy in post Re: Baba Bhulle Shah Ka Kalam...!!! 12:32 AM - Ghulam Farid (GF) quoted CaLmInG MeLoDy in post Re: Important Notice For Logo Designing...!!! 03:26 PM - Roomi quoted CaLmInG MeLoDy in post Re: Humsafar Chaye...!!! 07:33 PM - UmerAmer quoted CaLmInG MeLoDy in post Re: Wedding Pictures...!!! 03:17 PM - CaLmInG MeLoDy quoted UmerAmer in post Re: Wedding Pictures...!!! 03:12 PM - CaLmInG MeLoDy quoted KhUsHi in post Re: Wedding Pictures...!! !